12/16/2016 – Update v8.4 Tiny Epic Western DLC, UI Overhaul, In-Game Screenshots & More! This is the probably the longest we’ve gone without an update, so thanks for your patience! We’re all set in our new little studio in Austin, TX and while we’re not completely situated, we’re happy to be in one place! We’re still looking for programmers, so if you’re in the area (must live in Austin already! ), then please send us your info. Our latest DLC Tiny Epic Western by Gamelyn Games is now live! Tiny Epic Western marks the 4th game from Gamelyn Games we have released. We’re looking forward to seeing what else the future holds. We have made some major changes to our Games menu which now houses the default “Classic” games, DLCs, Workshop mods and Saves. You can now easily find all your games in one spot with thumbnails! We can finally get rid of those old ugly Workshop and Save menus! We have also updated the Top menu and ESC menu with more changes to come! This will be our last update of 2016 as we go home for the holidays. We wish you all a very happy holiday and we look forward to seeing you next year. Lots more great things to come in 2017, including updates to VR and getting Oculus Touch users up and running. Now available for $4.99 with a 10% launch discount. Updated the Games menu to be more user friendly. New Games menu showcases the base “Classic” games, the DLCs, your Workshop mods you’ve subscribed to and your Saved games. Each section highlights the first games on each respective list. When you click on one of the categories, you will see your games listed in a grid style in default order. Workshop and Saved games are now shown with a thumbnail. Old save files will not have a thumbnail until resaved. Pages have been implemented so you can easily scroll through the different pages without having one continuous scroll. Unowned DLCs will have a lock icon. Depending on the game category, you can sort by Name, Random, Date Released, Recently updated games, the Slot number, and the Date created. This is still a work in progress as we add more features to the menu, like creating folders and favorites. If you have suggestions, please post them below. Info – Opens up workshop page in overlay . Expand – Lets you open up and see what is in each mod. Delete – Will both unsubscribe to the mod and delete the files from your computer. Overwrite – Will overwrite the existing saved game. Expand – Lets you open up and see what is in each save. Delete – Deletes the saved game. To create a new save, click on GAMES, SAVES and then press the CREATE button. When you save a game, an image will be taken based on where your camera is facing and this will become your thumbnail image. Updated Top Bar menu & icons to give it a cleaner and more streamlined look. 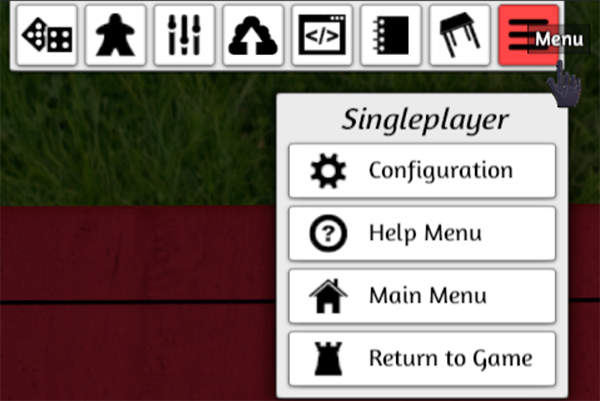 Each icon represents a category and either a window will pop up or you will get a drop down menu with options. This helps keep everything more organized and quicker to find what you’re looking for. ESC menu has also been updated to reflect the new UI changes. You can bring up the menu by pressing the ESC key or pressing the menu icon on the Top Bar. 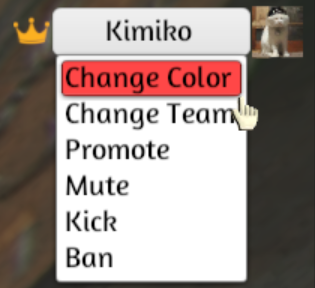 To change your color and team, you can now find this by clicking on your name in the top right. Fixed some UI elements not being as sharp as they should have been (especially noticeable on text). Improved the sharpness of the hover tooltip. Color picker: Fixed drop shadow, added tooltips, adjusted placement. Fixed and cleaned up miscellaneous UI elements. You can now take high quality screenshots of your games at twice resolution and x8 msaa. The UI is ignored, so you don’t need to worry about turning it off. Press SHIFT + F11 to take the pictures. 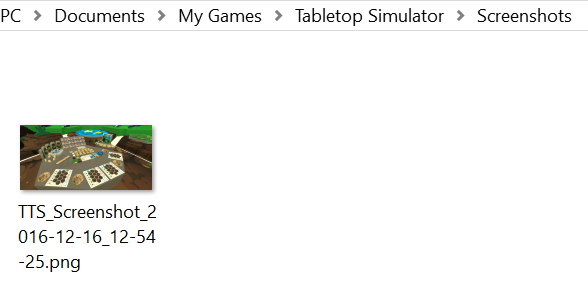 Screenshots are located in your Documents/My Games/Tabletop Simulator/Screenshots folder. Fixed scaling on Research Deck. Changed grey pips to black on the mining dice for easier readability. Reference Card is now able to be Alt Zoomed. The Water Tokens custom bag is now a normal bag, not an Infinite one, and contains the correct limited number of Water Tokens for a legal game. 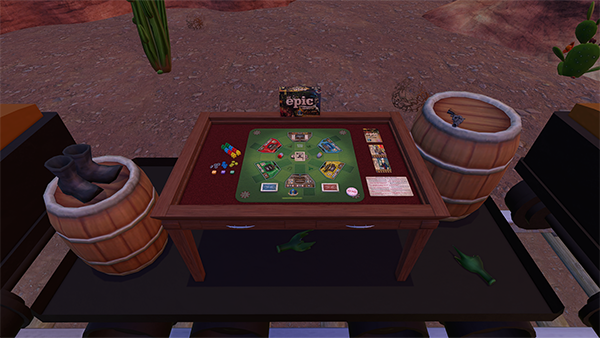 Various pieces have been drawn from their bags to form piles beside the main board for the convenience of players when a game begins. 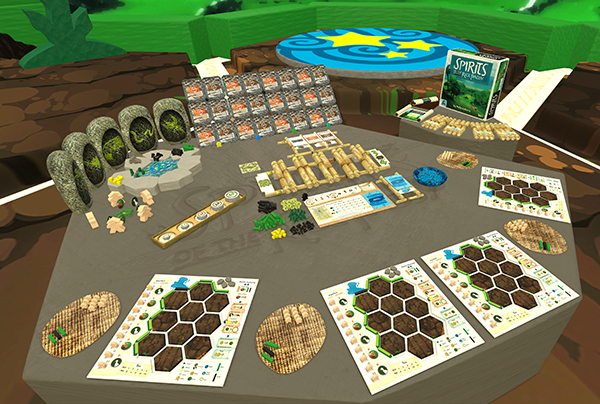 Each player’s starting Laborer, Gate, Wall and Rock Tokens have been added to their areas to reduce set-up time. The player-color-marked pieces set before each of the four Spirit-Card slopes at the back of the table have been moved forward to reduce interference with cards. The tray for the Rice Token-bags has been moved forward to be more convenient to reach. The bags for Laborer, Growth and Livestock Tokens, and for Achievement Tiles, have been moved forward to be more convenient to reach. The offering-bowl object containing the Water Tokens bag has been moved to the other side of the table for convenience. The reflective setting on the Round Marker piece has been altered slightly to make it appear more authentically wooden and less shiny. 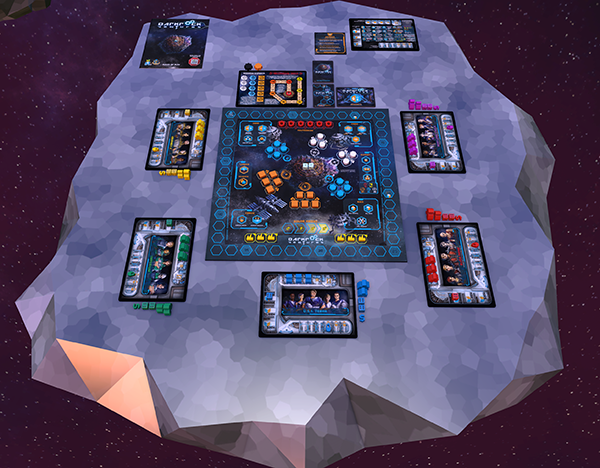 The scale of the Water Tokens has been reduced slightly to make them more manageable on the player-boards. Added information to the Notebook’s Key Points about the corridors in the Wizard’s Academy DLC. Fixed typo for the “Acolyte” character sheet in the Darkest Night DLC. Fixed spacing in the tooltip for the “Anna & Wojtek” figurine in the Scythe DLC. Added a tooltip in the chat settings to include a link to the global chat rules. In global chat your name is highlighted purple when someone mentions you. Added Peek option under Modifiers in the Help Menu. Fixed issue when searching objects would add random snap points. Fixed zombie search icon getting stuck on object. Fixed issue where blindfolded users were able to see peek and card search indicators. Fixed issue with Tutorial being stuck on ? mark stage because ESC Help Menu didn’t work. Fixed issue with loading a new save not clearing out any drawings from the previous save or game. Fixed search clipping on different aspect ratios. Fixed search lighting being too bright. Fixed issue with Tooltip getting stuck on pointer. Fixed issue when searching a bag that contains a custom infinite bag.